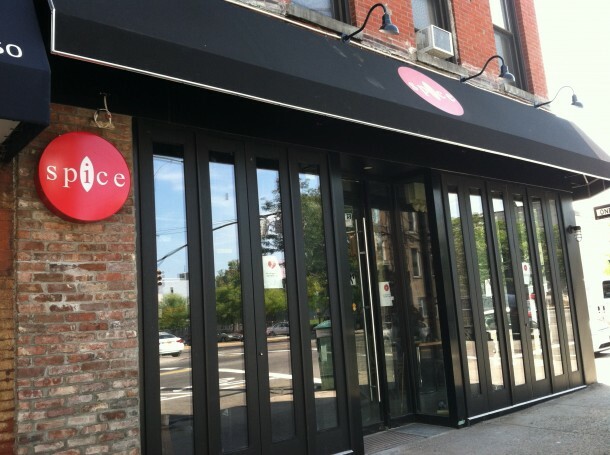 Spice, a chic Thai fusion restaurant that appears more expensive than it actually is… Especially if you are going for lunch, which is exactly what some friends and I decided to do a few weekends ago. The special includes an appetizer and entree for under $10. I also ordered Thai iced tea, which was undeniably tasty and refreshing. 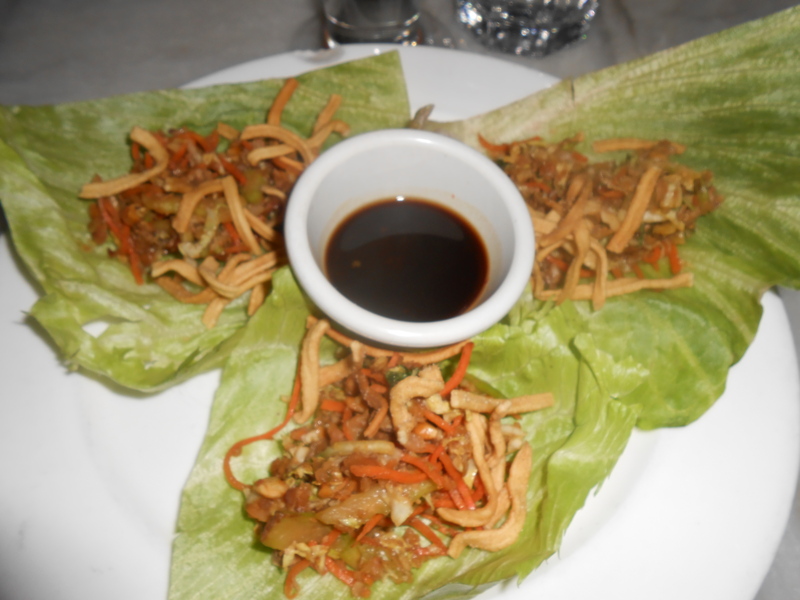 For my appetizer, I chose the Duck Wrap which came prepared with carrot, celery, peanut, sweet radish and soy hoisin sauce, all wrapped in napa lettuce. 3 of them total, which was quite a large helping. The taste was decent, but would have liked more flavor from the duck. Also, all the additional fillings did not blend together quite as well as expected. My grilled aged pork chop entree, marinated with pepper and garlic with stir-fried mix vegetables more than made up for the mediocre appetizer. 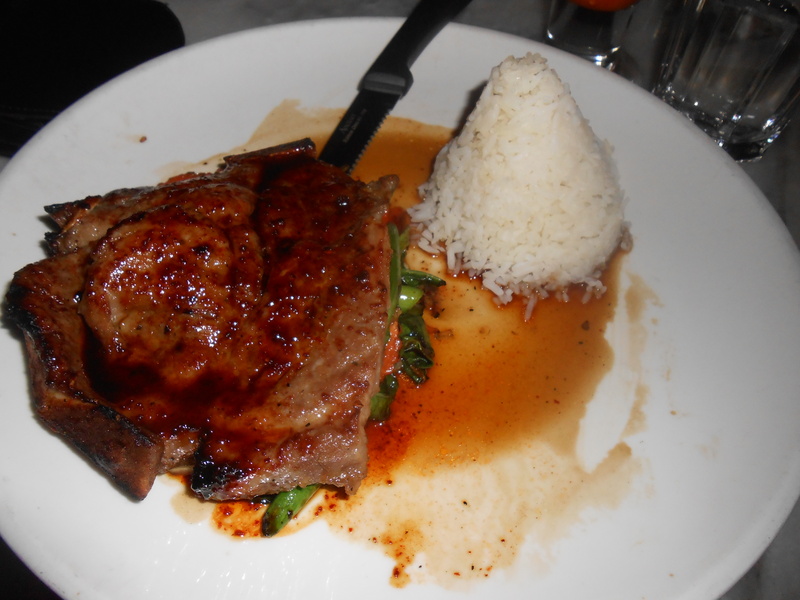 The pork chop oozed delicious sauce, and was tender, savory, juicy. The accompanying greens and carrots were crispy, fresh, and worked well with the meat. I couldn’t resist getting dessert as well. 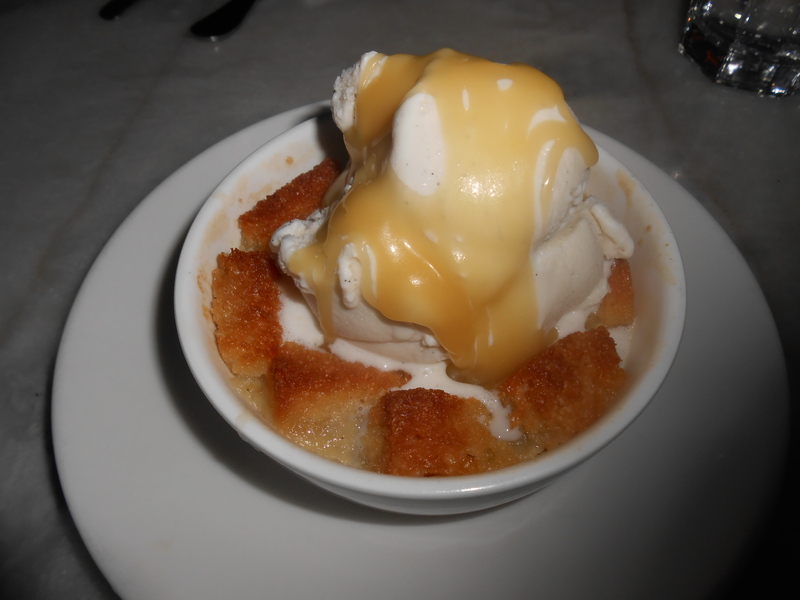 I finally decided the warmed thai taro bread pudding with vanilla ice cream and caramel sauce. The resulting creation was irresistible, completely and utterly decadent and delectable. Even though the taste of taro wasn’t strong, the bread pudding was everything you would expect it to be. The creamy sweet (but not overly so) ice cream trickled down onto the breading, enhancing the flavor. The caramel sauce had an almost butterscotch-y flavor to it, which was simply divine. This was a delightful meal and would definitely come back to try more!